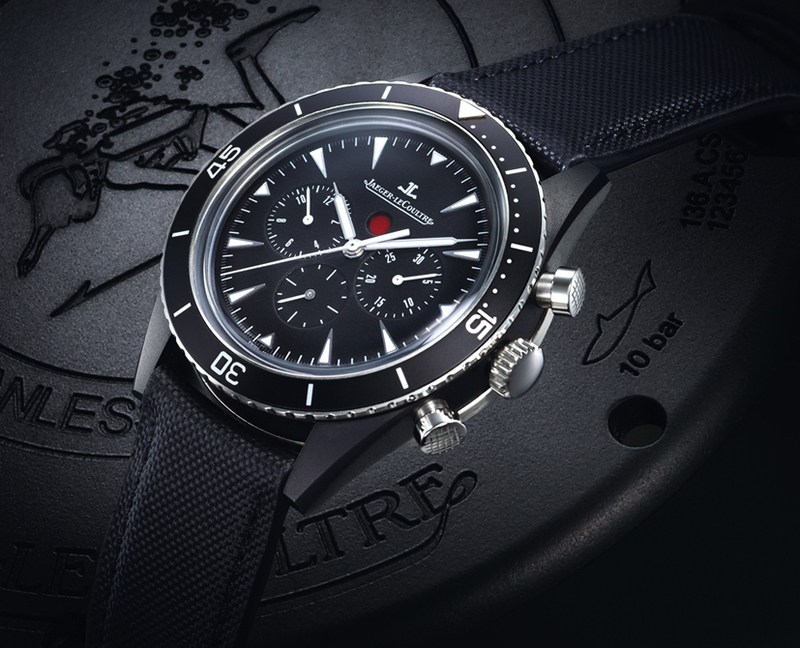 Following the Deep Sea Chronograph - one of the most interesting new watches of 2012 - at SIHH 2013 in Geneva Jaeger-LeCoultre presented a new version of the watch with a larger case of 44 mm and a case made of Cermet, a revolutionary material composed of an aluminium matrix – hence its low weight – reinforced by ceramic particles topped by a 40 micron-thick protective ceramic coating. Reinforced Cermet – of which the composite name derived from ceramics and metal reflects the technology – boasts an impressive array of advantages. It is more resistant to shocks and pressure than pure ceramics, an asset that divers are sure to appreciate to the full. Due to its insensitivity to extreme temperatures, this material is also used in aeronautics and on Formula 1 racing-car engines. Moreover, its ceramic protective layer is more resistant to scratching than steel. 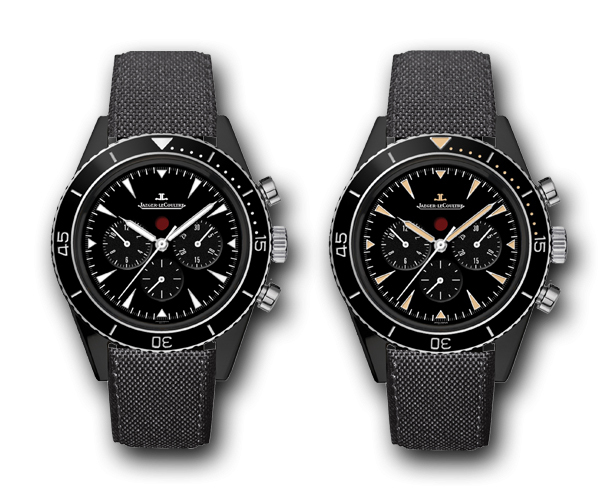 Finally, the lightness of reinforced Cermet – which weighs 66% less than titanium – makes it the ideal material for a 44 mm-diameter case and particularly suited to professional diving purposes. Just like on the 42 mm steel version - which remains our favorite - on the Jaeger-LeCoultre Deep Sea Chronograph Cermet diver’s watch, a chronograph operating indicator composed of two discs (one red and one white) contributes to enhancing diver’s safety by enabling them to check at a glance whether the chronograph is running, stopped or reset. It is available also a vintage version (ref. 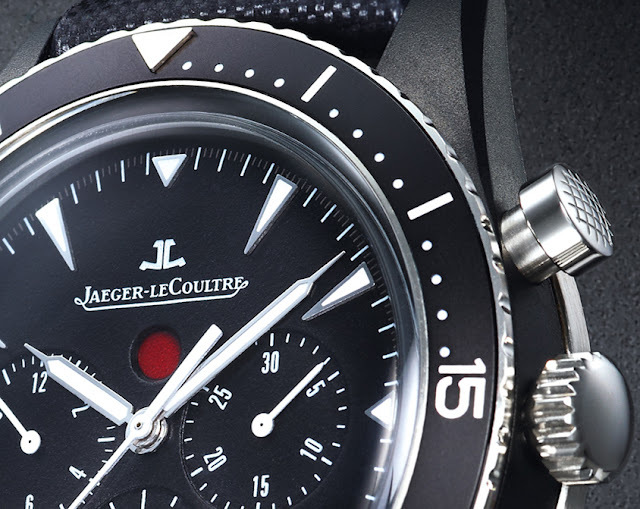 208A57J), available from Jaeger-LeCoultre boutiques, with tropical hands and hour-markers.